What’s up guys this is Krishna from Gadgetraja, and today I want to share with you guys my not so long-term (1+ months) experience with the Huawei Matebook X Pro. So, I have been a proud Matebook user since day one, and now I’m using the X Pro as my daily driver. I use it mainly for content creation, videos editing and also a bit of gaming. 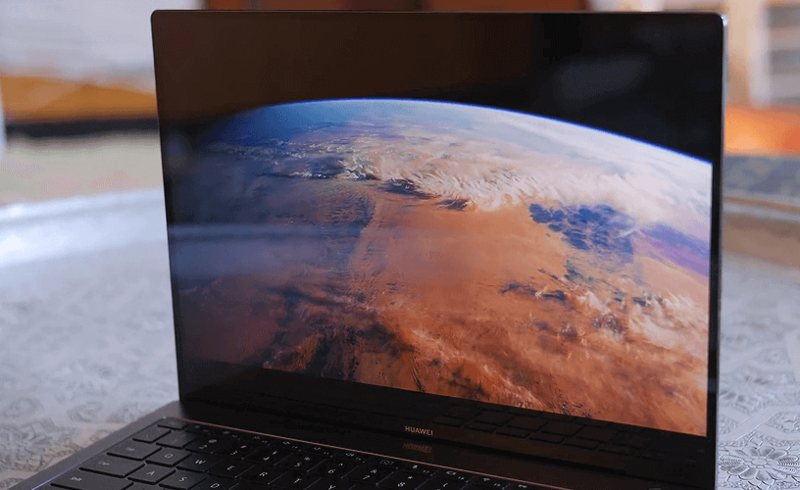 There are not many laptops in the market that could match to the super screen-to-body ratio, performance-packed form factor and the competitive pricing of Huawei Matebook X Pro. There are a few important points you must know before reading this review. Everything I am going to share in this review is exactly what I have experienced as a long-term user of Matebook X Pro. I would also like to point out that this content is in no way sponsored by Huawei. Whatever I am sharing here is going to be my 100% honest opinion. There are two models of this laptop. First one is the 53010CAJ, and it comes with the core-i5 processor. The second one is 53010CBS, and I am going to share my review of this model as I own it. It comes with core-i7 and other hardware upgrades which I have discussed later in this article. Additionally, I have also made a quick “basic” comparison of this laptop with my 2018’s MacBook Pro. You can find the correlation at the bottom of this article. So, without any further ado, let’s dig in. X Pro comes with a mesmerizing 13.9-inches display with 3000 x 2000 pixels resolution and an aspect ratio of 2:3 that has no bezels. The screen to body ratio is 91%, and honestly, I haven’t seen any laptop in this price range that could offer brightness level of 450-nits, and that could cover 100% of sRGB. The contrast ratio of 1500:1 and 260 pixels per inch density makes for bright colors and amazing details. The 260PPI is not quite up to the quality of a Retina display, but it is far better than what you would find on many other similarly priced laptops. Additionally, considering the size of 13.9 inches, you won’t be able to see any difference in visual clarity between 260PPI and 300PPI with naked eyes. In order to achieve 91% screen to body ratio, Huawei had to make a few changes with the front camera. In Matebook X Pro, the front camera is located on the keyboard instead of the display. Some other noticeable features are a 10-point touch-sensitive display which is made up of Gorilla glass. Furthermore, the screen comes with an anti-fingerprint coating, and the hinges are sturdy which really adds to the touchscreen experience. Overall you get a fantastic display that looks great, is reliable and is easy to use. The aluminum back is something that feels nice to hold, and it screams “good build quality.” But unfortunately, the area around the keyboard doesn’t quite feel as nice and sturdy, but it’s easy to understand the design decision. The primary objective was to keep the weight as low as possible and so to achieve that Huawei had to sacrifice some rigidness. Also, the non-metallic keyboard area helps to ensure that the laptop doesn’t get too hot in day to day use. So moving on to the keyboard and I would say that it feels pretty awesome to type on it. Its keys are super clicky, and the backlighting is indeed bright enough for typing in purely night sessions. The sad part is that there is no numeric keypad, and that’s something that I personally do feel is an oversight. But, adding a numeric keypad would ruin the form factor of the device, so again it’s a compromise that you as a buyer will have to make for better looks. Just above the keyboard, on the right-hand side of the deck, you will find a power button that also acts as a fingerprint reader. The fingerprint reader is fast, and as I use it daily, I will say its response time is close to 0.7 to 1 seconds. It is also compatible with Windows Hello and thus helps you to log in to your Windows account much faster and without entering any password. Just below the keyboard, you will find a generously sized touchpad and honestly, in the past five months of regular usage I never had any issues with it. It’s fast supports multi-point gestures and most importantly looks cleans. Now, just to the right side of the touchpad, you will find an NFC tag. With the help of this NFC technology, you can seamlessly transfer files, images and even live-feed videos from your Huawei smartphone to X Pro and vice-versa. If there’s one area that lets this laptop down, it’s the way that the webcam is placed. Instead of being built-in to the top of the screen, it’s a pop-up ‘key’ hidden at the top-center of the keyboard. On the one hand, this decision makes sense because Huawei wanted to make the border of the screen as thin as possible. In addition, it also adds up to your privacy. However, the angle of the camera is a little awkward and can make it hard to use it naturally. At either side of the keyboard you will find the quad speakers that supports Dolby Atmos and well I’m not entirely sure how effective Atmos is on a laptop, or a notebook they do certainly sound pretty awesome. When you buy a laptop, you want something that you can carry around with you. The Matebook X Pro definitely fits the bill there. It weighs just 1.33kg and is super thin considering the power it holds inside its body. The thickness is only 14.6mm which by the way 0.5mm less than my MacBook Pro. This means you can carry it with you anywhere you want without worrying about the extra weight. No matter whether you are going to the library, on holiday, to a coffee shop to do your work, X Pro won’t be of any inconvenience to carry around. Thanks to its slim body, in my personal experience, its quite easy to slip it into my backpack, and it never weighs me down. I’ve had many other laptops, notebooks, and even netbooks, and I’ve noticed that in general when you buy something small and light, you have to sacrifice something. Usually, the sacrifice you make is performance. And in my experience, in the long run, having a low-performance system severely hinders productivity especially if you are a content creator or a programmer. But, with Matebook X Pro you get plenty of performance thanks to the 8th Generation Intel Core i7-8565U mobile processor, which offers superior performance, consumes less battery and it remains cool even under load. Furthermore, it comes with a dedicated 2GB GDDR5 GPU from Nvidia. X Pro is available in two options. The first one which is a low-end model comes with Intel Core i5-8265U processor and 8GB of ram. The second one which is a high-end model comes with Intel Core i7 processor and 16GB of RAM. The high-end variant also features a sufficiently powerful dedicated Nvidia GeForce MX150 GPU which offers 2GB GDDR5 graphics memory. Now, when I say “sufficiently powerful,” I mean you can definitely play 2015 or 2016 AAA game titles in 1920p x 1080p resolution with low to medium graphics settings with sufficient (28-38) FPS. But, don’t expect to have smooth gameplay experience in massively open world games like Just Cause 3 or Far Cry 5. I have tested Far Cry 5, and I will suggest you not to waste your time trying. Even with medium settings at 1920p x 1080p resolution, I was getting 15 fps to 22 fps, which in no way is playable. The lower end model which has core i5 processor comes with 256GB NVMe PCIe SSD. The higher end model which has core i7 comes with 512GB NVMe PCIe SSD storage. I use Huawei Matebook X Pro as my primary working system, and I carry it every day from my home to office and then back home. I take it almost everywhere I go, and all thanks go to its light-weight body. But if a laptop doesn’t have a good battery life, then it really doesn’t matter how fast and sleek it is. The good news is that X Pro helps me get through a full day of work with moderate to high use with still 15% to 20% battery remaining. So, in my experience the battery lasts for around 10hours to 12 hours, depending on how you use it. Additionally, the USB Type-C fast charging can recharge your battery for two and a half hours of use in just 15-minutes. Unfortunately, the AC adapter that comes with the laptop isn’t great. It takes up a lot of space. Far more than you would expect considering the thinness of the device itself and how little it weighs. If you really can’t stand the size of the adapter, then you could purchase a third-party one to use instead, but it seems a shame that such a good laptop would require third-party add-ons. Indeed, some people choose to carry a USB hub (to make up for there being just one USB-A port) and a third-party external webcam too. Once you get into that territory, you’re sacrificing the thing that makes the laptop so appealing – the small size. The price of X Pro has jumped up significantly this year. Last year you could get hands on the higher-end model for 1499 dollars, but in 2019 you will have to spend 1999 dollars. It has an sRGB screen which has a 260ppi pixel density. The backlit keyboard is big, looks great and the backlit is bright enough for night sessions. You get a great screen that has 10-finger multipoint sensitivity for touch typing. 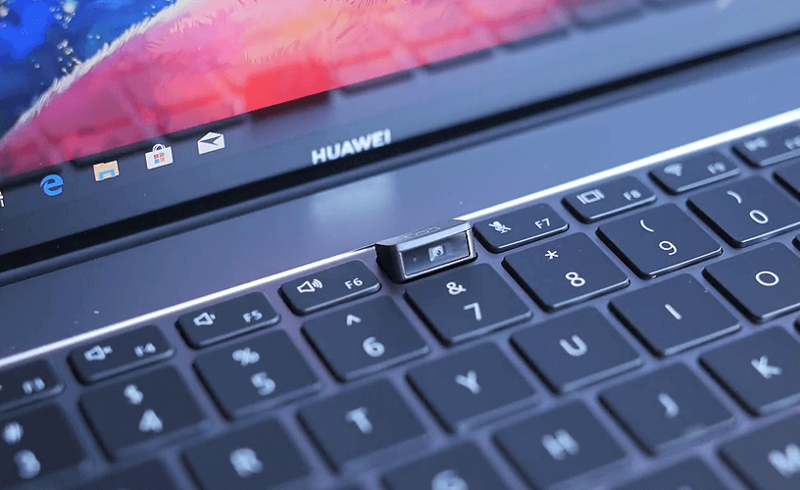 Huawei claims that the keyboard is spillproof. Note, I haven’t tested it as I don’t want to take the risk. The keys have good travel distance, and you also get good feedback while typing. The touchpad is huge, easy to use and is responsive. It has support for 3-finger multi-point touch. It has a powerful octa-core processor which has “Max Turbo Frequency” of 4GHz. The higher-end model gets you 16GB of LPDDR3 ram. The charger that comes along with the package is bulky and doesn’t fit the overall design. The front-camera placement choice is not the best. Positioning is good form privacy point of view, but I have to say, the 1MP camera isn’t the clearest considering what you will find in other similarly priced laptops. Lack of ports. You get one Thunderbolt 3, one USC Type-C and one USB 3.0 Type-A port for data transfer, charging and for connecting MateDock 2. If you’re looking for a versatile, lightweight and ‘fun’ laptop, then X Pro is a good choice. The price is pretty appealing given the quality of the touchscreen, performance and the build quality. Furthermore, its light-weight yet superior build quality makes the deal even sweeter. In the world of laptops, you are often forced to choose between portability and specifications, but Huawei has managed to offer a right balance between the too and at a price that’s hard to argue with too. I feel like the Matebook X Pro nails it when it comes to the Ultrabook form factor. I have used lots of laptops in the past few years, but I never saw or experienced anything like X Pro. When it comes to power, I feel like there’ll be plenty of power inside the body for people who are looking for this type of form factor. It's the laptop that made me switch from Apple OS to Windows OS. X Pro is lightweight, powerful and elegant. It has one among the best trackpad and the backlit keyboard is just amazing.